It’s not uncommon to hear of high quality accountants coming out of New York. The wide variety of accounting programs in New York offers a unique opportunity to those in the Empire State. Amoung some of the more well known schools are: NYU, City College of New York (Baruch), and Cornell. City University of New York (Brooklyn College, Queens College and others). 2 What do You Need to Get Your Certificate? You wouldn’t make any huge life decisions without doing a little research first, so treat this decision with great care. First off, you’ll want to check online to see which programs are offered in your area, or wherever you’re willing to relocate to. Try not to settle for the school that’s most convenient to you, as their program may not be very good, or they may not even offer the correct program to lead you to earning your CPA. Contact the school to see if they have any additional information for you. You can also research the staff and see how they are rated on different websites. You can also try to get in touch with an alumnus of the program and they can tell you about their experience and whether or not they would recommend it to others. Figure out how far you want to go in your accounting career. If you want to go as high as you can, try to find a program that will prepare you for the very difficult CPA exam. What do You Need to Get Your Certificate? Every state has its own requirements in order to qualify for your CPA license. You should know that it is a very long, difficult road to getting your license but very rewarding in the end. First of all, you will require education, usually a bachelor’s degree at minimum. For the most part, at least 150 credit programs are required. A certain amount of credits must be in accounting, and another amount in business courses. There are other ways to meet the educational needs, however, as some programs offer accelerated degree programs. 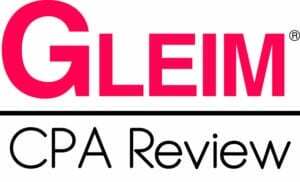 Once you have completed your education, you will need to qualify for the CPA exam, which is very difficult and boasts a very low pass rate. If you pass, you will then have to write an ethics exam. Once you have passed that, you will also need to have a certain number of hours of work experience in finance, taxes, accounting or other related jobs. If you have completed the educational requirements, passed the exam and completed the specified number of hours of work experience, you can then qualify for your CPA licence. In the state of New York, in order to qualify for your CPA, you must have a minimum bachelor’s degree with 150 semester credits 33 semester hours in accounting, 36 semester hours in business), or a Masters degree, OR fifteen years experience under the direct supervision of a CPA or a New York State public accountant. You must also take the CPA exam with a passing score of 75. Two years of full time work experience (or the part time equivalent) is required. Be sure to research all of the requirements as certain subjects must be taken and there are certain steps in applying. Understandably, most people would want to know what they could potentially be earning in a year before they decide what career path they want to take. Keep in mind that you may not be making the standard amount as soon as you enter the accounting workforce as a CPA. In New York, the average yearly wage for a CPA is around $77,000. It all depends on who you work for, whether you’re employed with a larger company that pays well, or a smaller company that gives a modest salary, or if you are self employed. It all depends on what level you’re working at and where you are employed. City University of New York – Baruch College offers a very good accounting program through Stan Ross Department of Accountancy, providing students with the technical tools and knowledge needed to succeed in becoming an accountant. It is designed to prepare students for managerial and high level positions in finance. 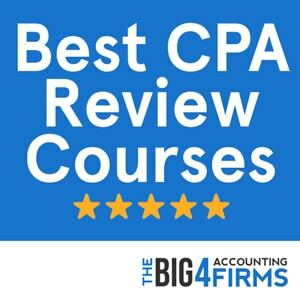 In order to qualify for the CPA exam, you must have a certain number of credit courses, of which this program abides by. They offer a Bachelor of Business Administration in accounting or a Masters of Science in accounting or taxation, as well as other programs to achieve the desired number of credits. If you decide to go with this school, be sure to go to their campus and see what they’re all about first. Perhaps you will find that this is the perfect place for your career as an accountant to begin. According to the 32nd Annual Professor’s Survey of 2013, City University of New York – Baruch College ranked at number fifteen, (up from number 24 in 2012) for the top 25 undergraduate programs in the country. New York University made it on the runner up list. CUNY’s Baruch College also ranked at number eighteen (up from 26 in 2012) for its masters program, but did not place for the doctoral program. It also placed number eleven in the top 25 schools with 22+ full-time accounting staff for the undergraduate program, and number twelve for the masters program. 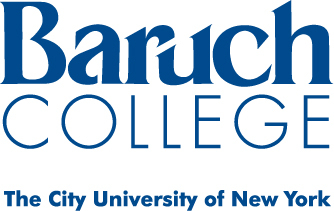 Overall, Baruch College has the best ranked accounting program in New York. New York University ranks 32nd among national universities according to U.S. News, while the accounting department of its Stern School of Business is listed as 9th best nationwide. Students at the Stern School of Business can pursue a business degree with a major in accounting, covering areas such as financial accounting, managerial accounting, financial statement analysis and financial reporting. Prospective Certified Public Accountants can opt for the BS-MS program which allows them to earn the required credits through a Master’s degree with advanced coursework in accounting, auditing and taxation. The prestigious MBA offered by Stern school will provide expertise in accounting topics as well as broad business knowledge. Alternatively, students may consider the undergraduate CPA track. New York University also offers a PhD in Accounting ranked 7th best nationwide by U.S. News which does not require applicants to hold an MBA. A bachelor’s degree and strong research-related skills are the main criteria for admission. The prestigious Ivy League Cornell University ranks 15th among national universities, while its Samuel Curtis Johnson School of Management is listed as 17th in the country by U.S. News. Undergraduate students at the Charles H. Dyson School at Cornell University can earn a Bachelor of Science in Applied Economics and Management with a concentration in Accounting. This AACSB-accredited program covers a wide range of accounting topics including financial analysis, cost accounting, managerial accounting, business law, taxation, auditing and assurance. Students interested in a CPA career may find Cornell University an attractive option, as it consistently ranks among the top 5 schools in the country in terms of CPA exam pass rates. Accountants looking to start their career in academia can pursue Johnson School’s prestigious doctoral program in accounting, ranked 21st in the country by Public Accounting Report in 2013.